Cherrapunjee is a beautiful town. 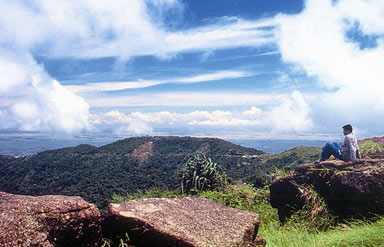 Located on Southern edge of Khasi Hills, the town is popular for heavy rainfall. The place also enjoys fame due to its pristine beauty and salubrious weather. Tourists from all over the world visit this fairly land to spend a memorable vacation. 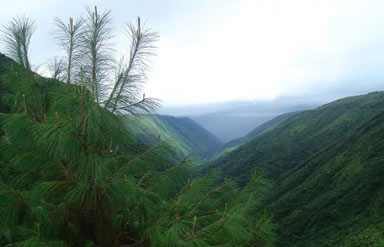 Blessed with immense natural beauty, Cherrapunjee is loaded with waterfalls, lush green areas and many other tourist attractions. This is the place, where rainfall recording units are feet not millimetres. According to the legends, this beautiful town has been the favourite place of rain God, where he has showered his blessings in the form of rain. Initially named as Sohra, the town enjoyed two names in its olden days. In the British rule, the region got another name 'Churra', pronounced by the British. Presence of monument of David Scott is the evidence that the place has witnessed British rule and the rulers were actively attached with the region. Nohkalikai Waterfalls can be viewed in the monsoon only. Supposed to be the fourth highest waterfall across the globe, Nohkalikai starts off as a clear stream, which later on gets converted into a majestic waterfall. This seasonal waterfall looks amazing and is a popular tourist attraction. This gift of mother nature creates an aura, which is capable enough to lock your eyes. Located in Mawsmai village, Mawsmai cave is another attraction. Tourists visiting Cherrapunjee can visit this cave to satisfy adventure bud. A part of cave is facilitated with required lighting to ensure the comfort of the visitors. The cave is popular for the presence of a large number of stalagmites and stalactites inside the cave. Double Decker Living Root Bridges, Eco Park, Mawkdok Dympep Valley Viewpoint, Kynrem Falls and Nongsawlia Church are some other attractions that not only allure tourists but also surprise them with a never before experience. A range of class hotels as well as budgeted hotels is available in Cherrapunjee and nearby areas. 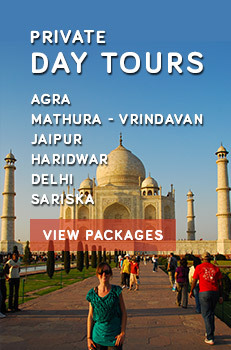 Tourists can choose as per their requirements. By Air: After reaching Guwahati, tourists can use the Dauphin helicopter services that are provided by Pawan Hans to Govt. of Meghalaya for regular passenger services. After this, the remaining distance can be covered by hiring bus or taxi. 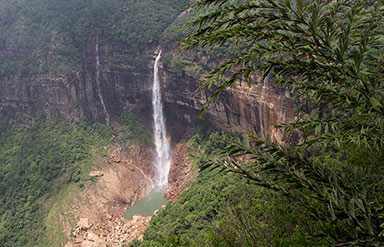 By Road: Located at a distance of 60 km from Shillong, Cherrapunjee is easily accessible by road.